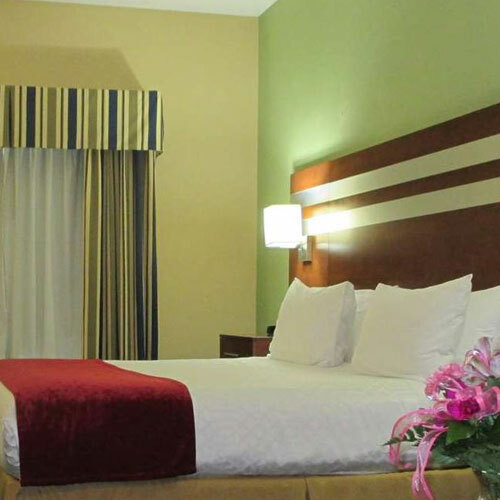 This renovated hotel features the ideal blend of comfort and style for a pleasant experience. Amenities include generous bathroom counters, additional space in the rooms and updated furnishings. Traveling with kids? Ask about the Kids Suite, which has a kids corner, bunk beds and special bedding. Smoke free premises. 65 units. 3 stories, interior corridors. Accessibility (Call). I-55/70 exit 18, just w. 2020 Formosa Rd 62294.